The second prequel novel to Attack on Titan—and the basis for the Attack on Titan: Before the Fall manga series! In this novel we are introduced to Kuklo, who is found as a baby crying in a mass of Titan vomit, amidst dead Titan corpses. Called “a child of Titan” and essentially hated by the people inside the walls, Kuklo despite his horrible beginnings and a single-functioning eye, also seems to grow unnaturally fast. 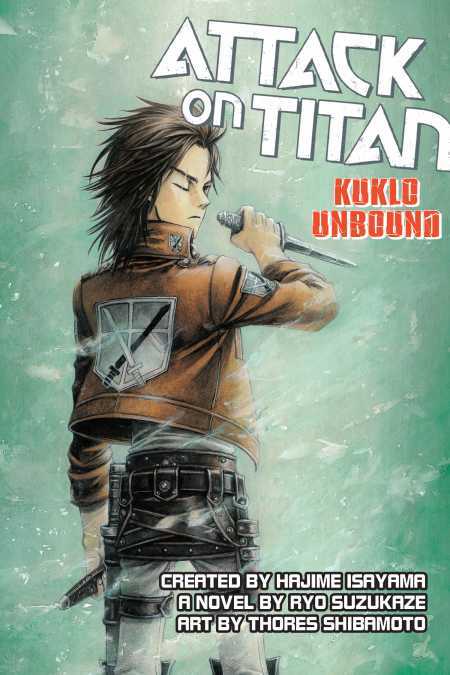 He parts himself from his past and gambles on the fate of humanity by enlisting in the Survey Corps. And here with his strength and determination Kuklo survives and thrives. But to accomplish his goals he must get his hands on the Vertical Maneuvering Equipment. Although the gear is still imperfect and causes a troublesome incident for him, whether it is because it is his fate—or because of his past—he finds he is able to fight against the Titans.